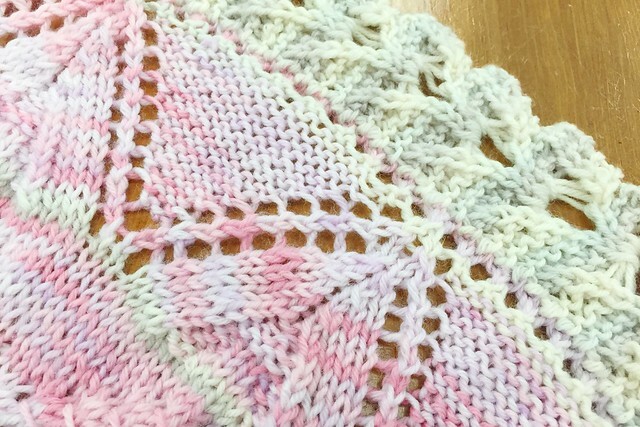 Didn't quite finish the Follow Your Arrow Shawl this weekend like I wanted, but am getting very close to being done! I've started part five of five and am about halfway through this edging! 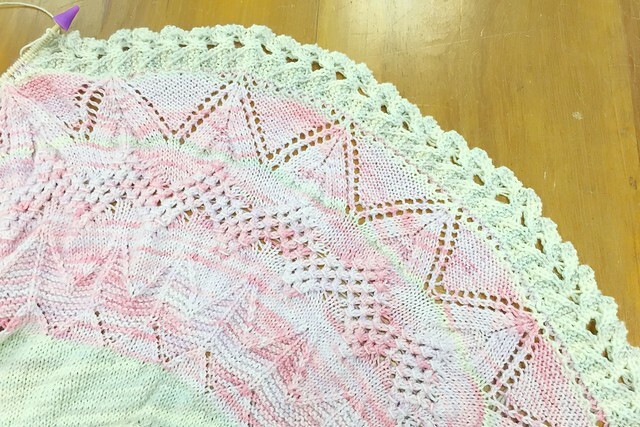 Next week I'll share photos of the finished, blocked shawl! It is so pretty. Love the colors. thanks. they do go well together.